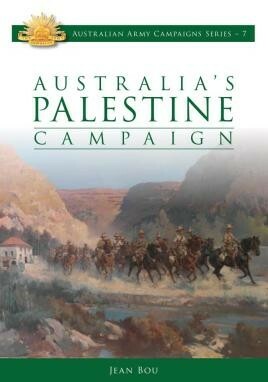 With nearly two mounted divisions engaged against the Ottoman Empire in the Middle East for almost three years the Palestine Campaign was Australia's longest running militarily significant endeavour of the First World War after the Western Front. Unfortunately, due to sales rights restrictions, we cannot offer Australia's Palestine Campaign for sale in your country. With nearly two mounted divisions engaged against the Ottoman Empire in the Middle East for almost three years the Palestine Campaign was Australia's longest running militarily significant endeavour of the First World War after the Western Front. And yet apart from the battle of Beersheba, the Palestine Campaign receives little attention in Australia compared to Gallipoli and the Western Front. In contrast to the years of grinding trench warfare in France and Belgium, the Palestine Campaign was a war of relative movement and manoeuvre. Cavalry, including Australia'slight horse, played a prominent role, but it was a hard fought fully modern war, in which the latest military technologies and techniques were all used.